She walks past the iconic Empire State Building and Central Park regularly. She spends her spare time exploring New York City’s museums and art galleries. Vancouver-born Laura Tsang credits her time in Kamloops at Thompson Rivers University with getting her to one of the world’s most metropolitan cities. She had visited TRU once before she arrived on campus to study law in 2012. It was close to her family in Vancouver, where she attended York House School, an all-girls school, from kindergarten to Grade 12. After high school, Tsang headed east to the University of Toronto to study political science and economics. Then she chose to study law and she chose TRU. “I knew little about Kamloops. It was only the second year the law school had opened,” she said. She developed solid relationships with friends and professors, fostered by the law school’s small class sizes. Tsang worked closely with a few professors and particularly Chris Hunt, who she worked for as a research assistant. He was also her supervisor in a directed research course and they worked together on the inaugural issue of the Canadian Journal of Comparative and Contemporary Law. “He was my reference for jobs and I still keep in touch with him today. He’s always been very helpful and supportive of everything I’ve done, even since I graduated. That’s something from TRU that helped me get to New York,” she said. After graduating from TRU in 2015, Tsang articled at Bilkey Law Corp., a boutique insurance litigation firm. Two years later, she packed up and moved to New York City to get her Master’s of Law from Fordham University. “The faculty at TRU have received master’s degrees and PhDs from excellent schools. I spoke with a few of my former professors before I applied. They helped me make the decision to pursue a master’s degree. I chose Fordham to move into a different kind of law, fashion law,” she said. As narrow as fashion law might seem, it actually encompasses broad areas, such as intellectual property law, corporate law and even environmental law. 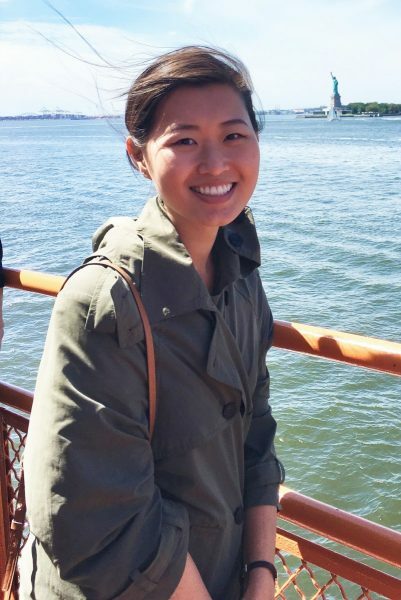 For this reason, Tsang is currently completing a clerkship in the commercial division at New York State Supreme Court, New York county, since finishing her master’s degree. As for the city itself, well, she’s definitely not in Kamloops any more. She recently saw actor Jake Gyllenhaal seated among dozens of other people waiting to be selected for jury duty. “The pace of life here is so much faster than Kamloops. It’s been go go go since I arrived. I’ve never been busier in my life, but I’ve never been happier being busy. I’ve never worked as hard as I have in New York, but it’s all been worth it,” said Tsang. Laura Tsang, who graduated from TRU Law in 2015, grabs a boat to visit the iconic Statue of Lilberty. 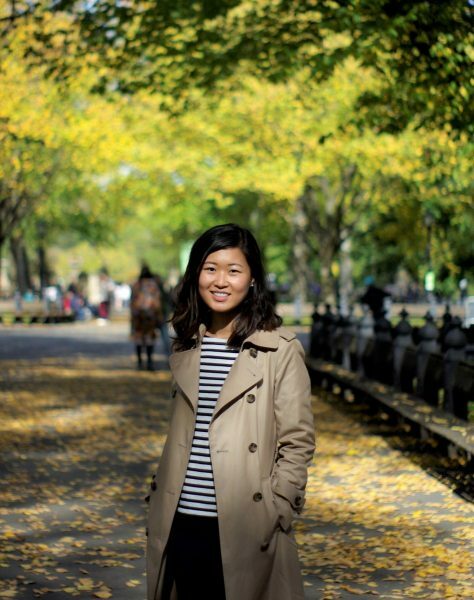 Central Park is a wealth of colour in fall, as TRU Law alumnus Laura Tsang discovered now that she’s working there.